Ever since the European Commission adopted its ambitious Circular Economy Package in 2015 , the interest in this topic has been growing not only among European businesses, but also among EU and Member State officials in charge of environmental programmes. Using resources in a more sustainable way and accelerating the transition to a stronger, more circular economy is moving up on EU’s priority list. For a second year in a row, ETCP organised a Circular Economy training and study visit, a partner event of the EU Green Week. 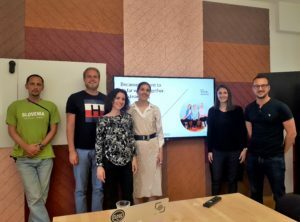 Supported by our partner Sitra, this year we were in Helsinki from 22-23 May to learn about the Finnish road map to circular economy and meet new green solutions to urban challenges. Our group gathered delegates of EU Funds Managing Authorities and Intermediate Bodies from Slovenia, Latvia and Croatia. Circular Economy is a new way of thinking about our growth model, where the value of products, materials and resources is maintained for as long as possible, whilst emissions and waste are significantly reduced or even eliminated. As a part of the broader concept of green economy, it emerged from different schools of thought: Product life, Performance Economy, Cradle-to-Cradle concept, Biomimicry… (read our last year’s Circular Economy report for more background information about circular cconomy). 2. Why is Circular Economy relevant for EU Funds Management? EU Funds are the greatest single public funding source currently offering the opportunity of a coordinated EU-wide approach towards stimulating the transition to a Circular Economy: European Structural and Investment Funds (ESIF), Horizon2020 and LIFE Programme is where most funding opportunities lie. T.O. 1: Research and innovation: for faster deployment of new technologies. E.g. Paques – a Dutch waste management company that develops bio-plastic products. 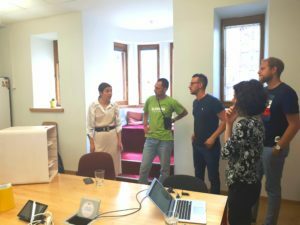 Horizon2020 unveils funding opportunities for eco-innovations, such as the project ZeroWIN, bringing innovative ways of reusing and unlocking the potential of by-products (urban organic waste). 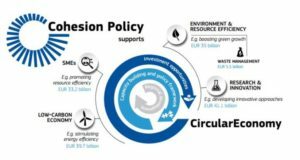 Since 2014, the LIFE Programme has already invested €100m in 80 circular economy projects. One of them is the Circwaste Project we had the priviledge to learn about during our study visit to Helsinki. This LIFE co-funded Integrated Project promotes efficient use of material flows, waste prevention, new waste and resource management concepts. 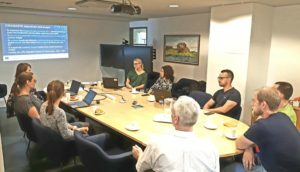 As we learned from the project’s coordinator, Finnish Environment Institute SYKE, Circwaste brings together 20 concrete actions carried out by 20 partners in 4 Finnish key regions. 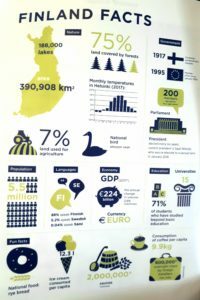 Focusing on construction, biodegradable and industrial waste, all actions contribute to reaching the national waste management targets and directing Finland towards the circular economy. 3. Why does the Helsinki metropolitan Area claim to be the best test bed in the world for smart and clean solutions? Helsinki Air Quality Testbed: the first city-wide air quality sensor network in the world is currently being put in place in Helsinki, which produces open data enabling targeted measures to reduce emissions and their negative effects. Bio100: All the Helsinki Metropolitan Area’s busses and the City of Helsinki’s heavy equipment will switch to 100% waste and residue-based biofuels by 2020. Stormwater Management: In the face of climate change and extreme weather phenomena, urban stormwater runoff solutions are being developed with export potential. What’s remarkable about the Helsinki metropolitan Area is not just the overwhelming political will to join forces for environmental protection, but also its readiness to export their smart and clean solutions to the world. One of the solutions to citizens’ recycling challenges in Finland and beyond is brought by Niimaar, a Finnish #zerowaste brand. Niimaar’s main contribution to the cause is Ecosmol, a sustainable design furniture for recycling. 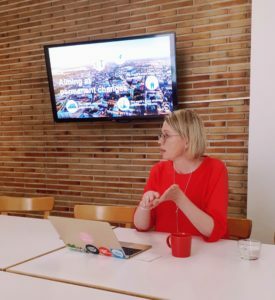 After learning about what’s being done on the metropolitan and state level in Helsinki and Finland, it was great learning about decluttering and recycling trends at citizen level in Finland, but also about Niimaar’s coastal clean-ups, awareness campaigns against disposable plastics, zero waste and design workshops across Europe. In any case: the transition towards a circular economy in Europe requires effort in all Member States to scale up the effect. Funding pilots to find the best solutions and learn from each other is the way to go.